If you’re not a vegetarian, chicken patty sandwiches can make for a pretty great lunch. 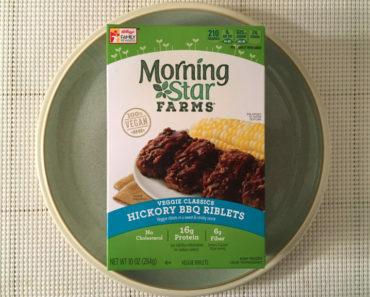 If you are a vegetarian, you can enjoy a meatless version thanks to Morningstar Farms’ Original Chik Patties. 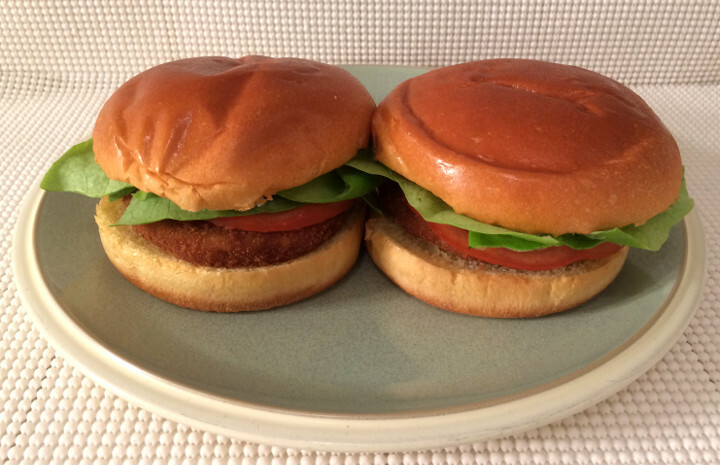 Now, one of the benefits of a faux chicken patty over a veggie burger is that chicken patties, real and fake, turn out better in the microwave than their burger counterparts. 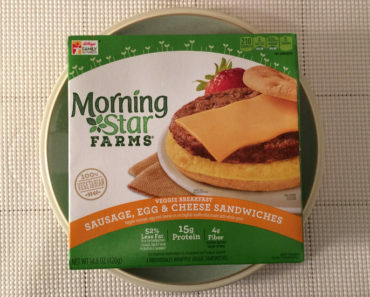 These Chik Patties can be tossed onto a plate and microwaved in a matter of minutes (two to two and a half minutes for two patties). That means you won’t have to oil up a pan or even turn on the stove. It wouldn’t be fair to say these patties are an actual representation of real chicken, but they’re stunningly close. 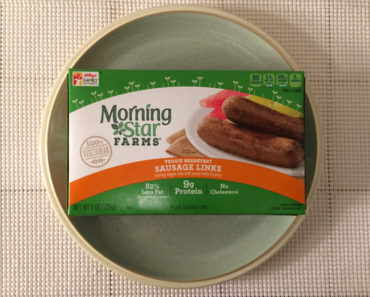 Of course, real chicken patties tend to be made of processed chicken, which makes it easier for veggie versions to get the texture believably close, and they’re breaded, which helps mask the flavor. So you could say that chicken patty mimicry isn’t exactly rocket science. Even so, these patties pull off the deception even better than you might expect. One patty has 160 calories (60 from fat), 320 mg of sodium, and no cholesterol. 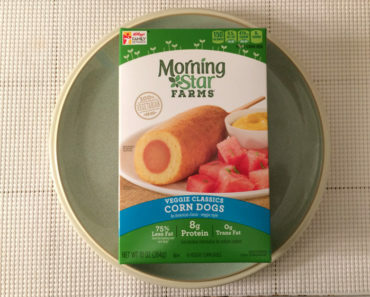 This means that even if you eat two of these, you won’t be in too much trouble with your diet. Of course, you also have to calculate your add-ons, which are essential here. In fact, we think no Chik Patty is complete without a soft bun, mayo, lettuce, and tomato. 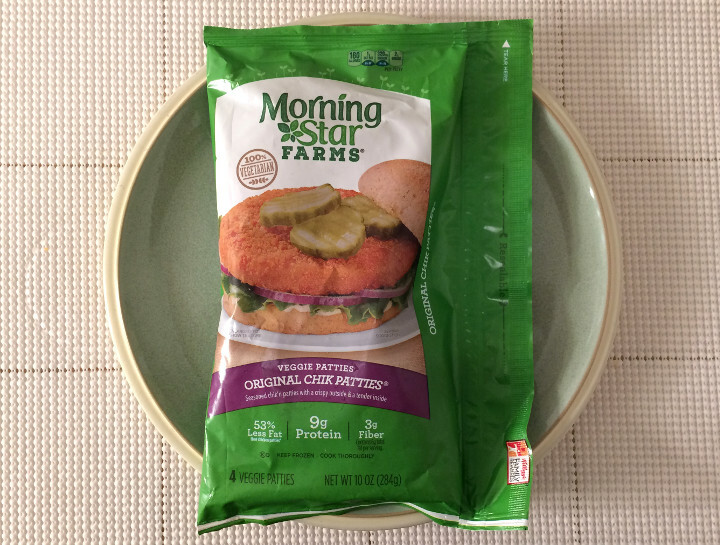 We’re quite impressed with Morningstar Farms’ Original Chik Patties. 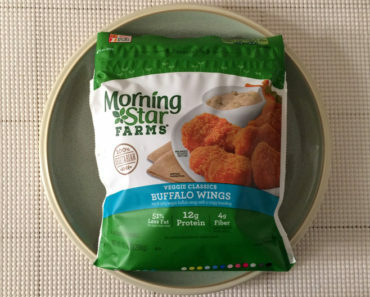 They convincingly re-create the flavor and texture of real chicken patties while being completely safe for vegetarians to eat. These patties are real winners. 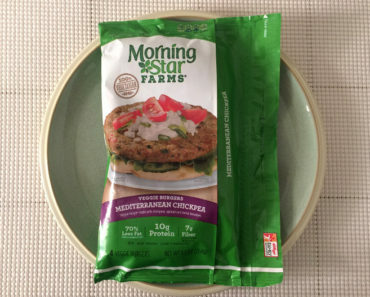 To learn more about the nutrition or ingredients in these vegetarian-friendly faux chicken patties, check out our package scans below.